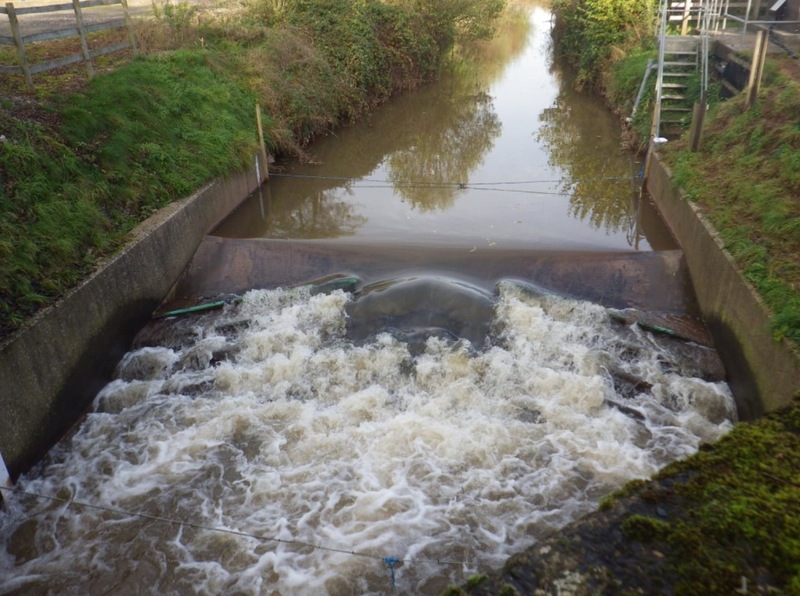 We have lots of weirs in rivers which are used to provide us with flow information which we use to issue flood warnings and control abstractions in times of dry weather. However, these structures can prove difficult obstacles for fish to get over, reducing the lengths of river available to them. We assist fish passage wherever we can and on many structures have built fish passes. 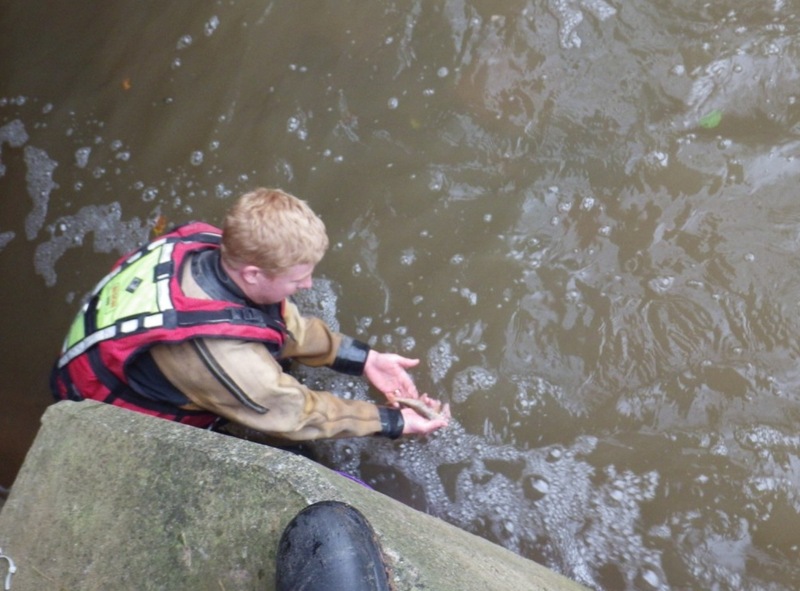 This week we have been carrying out some research into how easy it is for fish to use one type of fish pass. The location was a gauging weir at Bishop’s Frome on the River Frome in Herefordshire. The weir has a Hurn baffle fish pass installed. This has slots which are placed in a row straight up the weir face to encourage fish to jump straight up and over the weir. This is a common installation on our gauging weirs as they are gently sloping. On longer, steeper slopes, the baffle slots go diagonally up the slope so the fish can expend energy, then pause, before going again, all the way to the top. We commissioned our consultants, APEM, to investigate whether such a design is suitable as an ‘all species’ (chub, dace, roach, trout) fish pass or whether it is trout specific. We have started the investigation by looking at how easily trout can negotiate the pass. 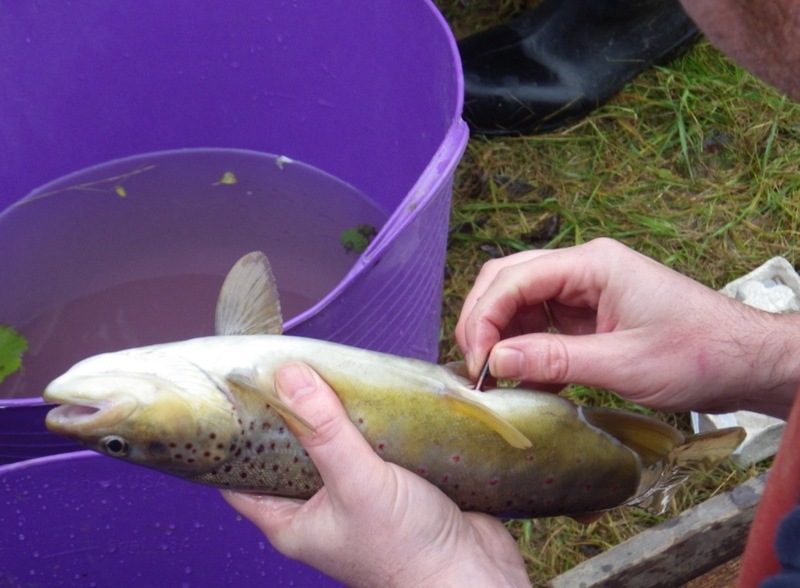 APEM staff electro-fished the River Frome and caught 14 brown trout (all over 150mm). 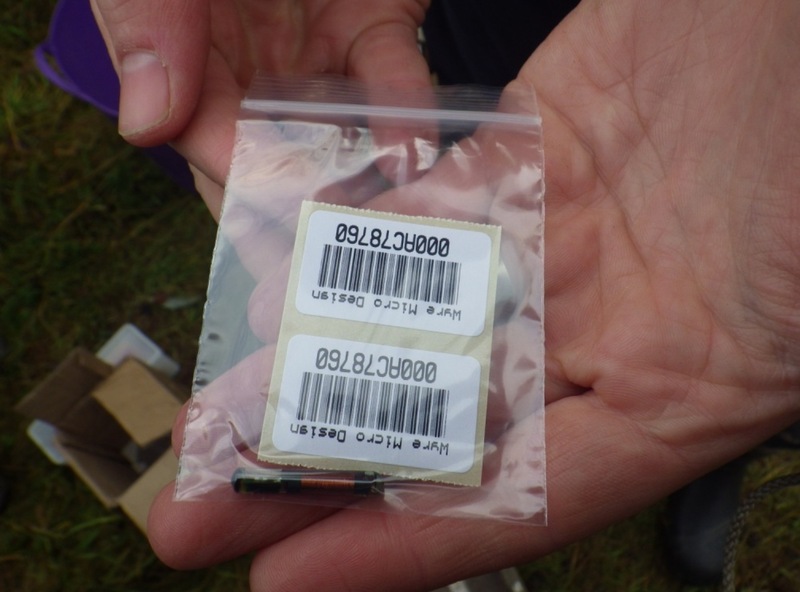 The fish were anaesthetised, and a PIT tag (micro chip) was inserted into the fish. The fish were measured, the PIT Tag serial number recorded against the length and they were released downstream of the weir. When a fish passes through antenna loops placed at the top and bottom of the weir, a camera and sensors record the bar code and capture an image of the fish which is recorded on a hard drive. Five days after the fish were released 5 have gone over the weir (they were detected by the upper antenna). Strangely those 5 fish include the smallest (188mm) and the largest fish (338mm) that we tagged. The other 9 fish appear to still be nearby as they have been picked up by the lower antenna loop but have yet to make it to the top. The antenna loops will remain in place for at least another week to help monitor the movements and behaviours of the fish when confronted with this type of baffle configuration.